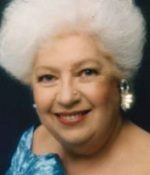 Remembering Evelyn Hurtgen | Remembering Evelyn Hurtgen | De Soto Obituary Search | Dietrich-Mothershead Funeral Home, Inc. Remembering Evelyn Hurtgen | De Soto Obituary Search | Dietrich-Mothershead Funeral Home, Inc.
Evelyn Marie Hurtgen was born September 10, 1934 in St. Louis, MO. She was the daughter of James Arvel and Ruth (nee Britton) Crow. She died on January 15, 2016 in De Soto, MO at the age of 81 years. She is survived by her children, Daniel Hurtgen, Jr., De Soto, MO; Ronnie (Cheryl) Hurtgen, De Soto, MO, Christel Hurtgen, De Soto, MO, Ruth (Bob) Wideman, De Soto, MO, Heidi (Bob) Davidson, Arnold, MO, Tammy (Keith) Ripperger, Hillsboro, MO; sisters, Betty Campfield, De Soto, MO; Donna (Jim) Turner, De Soto, MO; brothers, James (Clemi) Crow, Hillsboro, MO and William E. (Linda) Crow, Bonne Terre, MO; 12 grandchildren; 12 great-grandchildren.. She is preceded in death by her parents, husband, Daniel Hurtgen, Sr., one son, Randel Hurtgen, and one grandson, Terry Hoyt, II. 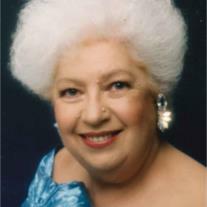 Evelyn retired as the probate clerk at the Jefferson County Courthouse; she then worked at the Association of International Gospel Assemblies. She was a member of the Festus Church of the Nazarene. As an expression of sympathy donations may be made to the Festus Church of the Nazarene, 2717 Hwy P, Festus, MO 63028.